Happy Monday all! I hope you all had a fantastic weekend and got to spend some time crafting? I know I had some fun using left over yarn to make some ear warmers. Now let’s get right to it and find out who this weeks winner is! Congratulations to…Christine P! I hope you enjoy the Elmer’s Glow in the Dark Glue! 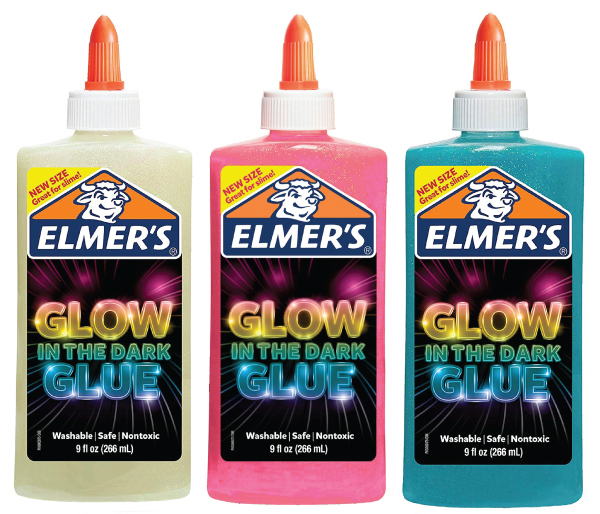 Elmer’s Glow in the Dark Liquid Glue is specially formulated washable glue that comes in luminous neon colors ideal for any arts and crafts! Whether used for decorating, painting, gluing, and even for making slime, this easy to use glue allows for endless creativity. This entry was posted in Crafts on February 4, 2019 by Kimberly.